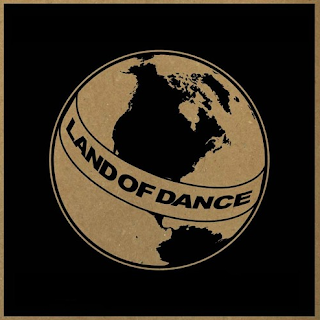 This is Land Of Dance, we've reached the tenth release and we want to celebrate it with an album, fifteen tracks and artists divided into four vinyls (two double pack) including music by: Seldom Seen aka Santiago Salazar, Jared Wilson, Ricardo Miranda, Nightjars aka Analogue Cops, Healing Force Project, Boston 168, Drvg Cvltvre, XXXV Gold Finger, Jann, Passenger and Dave Hargadon (Slowburn) plus some new names such as: Andrea Vietti, Seven Sins and Müskije Lycheeni. The tracklist has been thought as a "dj set" that evolves from ambient to jazz to house to techno. This is Land Of Dance! Both packs will include inserts, stickers and a cd. A1: XXXV Gold Fingers "Öpik Oort"
A2: Healing Force Project "A Tale From Two Emispheres"
B1: Nightjars Aka Analogue Cops "Atomo"
C: Seldom Seen "Hat Down Low"